If you don't already know, I hate oranges. But! I love smoothies. After combing Pinterest for recipes, I found out it was really hard to find a smoothie recipe that didn't use orange juice. So after a little experimenting, it came up with this concoction. 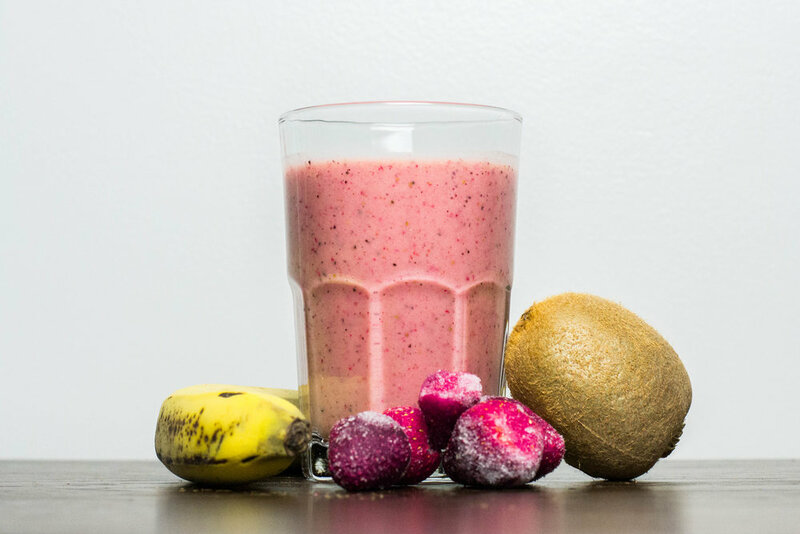 This is hands down my favorite smoothie, and it's loosely based off my go-to one from Topical Smoothie, the Kiwi Quencher.